As social studies teachers, we’re always looking for great current events resources. And what history teacher doesn’t love old newspapers as primary sources? Several years ago, I ran across a site that does both. And translates stuff into English for you. 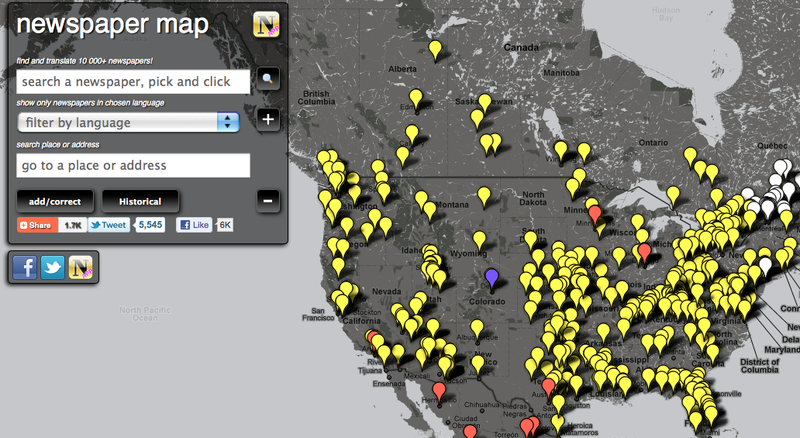 And provides a very cool way to visual browse over 10,000 newspaper in map form. And has a mobile version for iPods, iPads and cell phones. Called newspaper map, the relatively new webapp uses Google Maps to visually display newspapers from almost every country in the world. You can filter the map results by place, address, newspaper name and language. The further you zoom in, the more pins you see. The larger the pin, the larger the paper. When you find and select a specific paper, you have the option of going directly to that paper’s web site or selecting a specific language for translation. So . . . read the New York Times to get a sense of what is happening in Tripoli and then browse over to the Arabic language paper Libya Almostakbal. 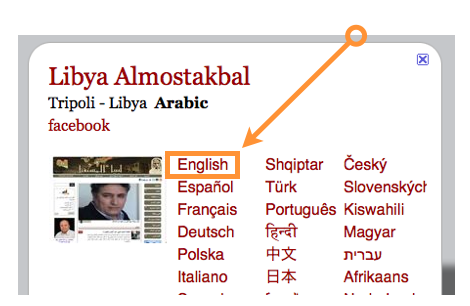 Click the English hyperlink and another page opens with a Google Translate version of that paper. Seems like a great way for kids to see and read different perspectives of the same event. Have kids read and compare papers from different parts of the US. Have kids read and compare papers from a variety of countries. You could even have different kids read different papers and then debate based on the perspective of their paper. And if that’s all newspaper map did, it would be pretty awesome. But wait . . . there’s more. There is also a Historical layer that you can turn on and off in the filter box. Clicking that button gives you a different set of papers. Opening any of these papers link back to a variety of historical archives including the Library of Congress Chronicling America site. So now . . . not only are you finding historical primary sources that discuss events of the day, your kids can do the same compare and contrast activity they were doing earlier with current events. 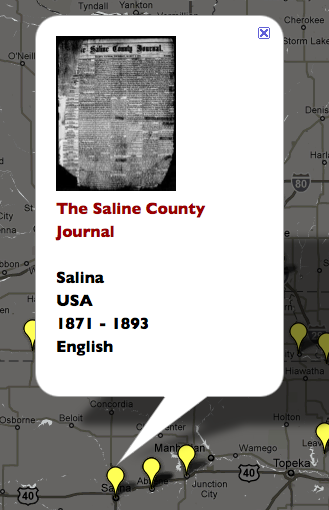 Or simply use newspaper map to find and share some great historical documents. A perfect example of the Collect element of the C4 Framework. No matter how you use it, the site is one that needs to be added to your toolkit. Thanks for this great resource. I get so many ideas and new resources from your posts.